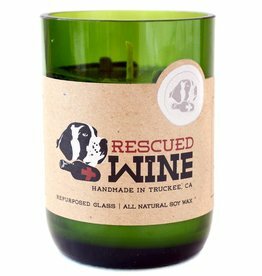 Rescued Wine candles are hand made in Truckee, CA. The soy candles are made using the best ingredients available and choosing to be environmentally responsible. The repurposed wine bottles hand poured with new candles bring new life to the salvaged glass.